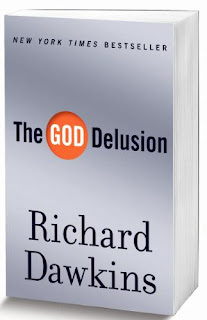 I've started reading The God Delusion by Richard Dawkins. It's really thoughtful and helpful, I think, at tearing down some of the old myths that are preventing the world from moving to a more peaceful plain. Dawkins is not as engaging a writer as Sam Harris (but few people are), but he's much more accessible than Dan Dennett and more pleasant than Christopher Hitchens. As I've said before, in general I think the new atheists (Dawkins, Harris, Hitchens, and Dennett) are doing some important plowing that will ultimately make the world a better place. 1. Acknowledge just how strange and wonderful it is that there is something rather than nothing. There was nothing and then there was something and existence is very strange and very awesome. 2. Acknowledge just how terrifying the thought of not existing is for most people. The brains of atheists must be wildly different than the brains of the rest of us. They seem to lack the connections between various regions of the brain that trigger the blinding panic at the thought of not existing. They seem nonchalant to the point of never mentioning what I think it probably a very real emotion for most of us. In fact the terror of not existing might be one of the most powerful emotions in the human experience and one of the primary reasons for the enduring (so far) power of religion. 3. Stop over-applying evolution (and the process of natural selection) to questions it does not answer. Evolution is correct, true to the best of our knowledge, and explains the history of life on earth. But evolution tells us nothing one way or another as to whether there is a God. There was a big bang then everything else happened. Okay, so what!? Evolution does not tell us if there is an ultimate creator of the universe or not. All it tells us is that Biblical literalists are incorrect and dumb. Okay, but we already knew that. I feel like, for every problem, Christian fundamentalists pick up a Bible and start waving it. And I feel like for too many problems, too many modern atheists pick up Origin of Species (or something by Stephen Jay Gould) and start waving it. And in neither case does the text explain all that its supporters claim it explains. Evolution tells us what -- it does not tell us why and as a result scientists ('The What is all there is!') and religious folk ('The Why is all that really matters!') are too often talking past each other. Look, calculus has only existed for 300 years. Modern medicine has only existed for about 75 years -- since the advent of antibiotics (1928). Democracy in its modern form (without slaves and with universal suffrage) has only existed since the 1964 Civil Rights Act. The pill has only existed since the 1960s. Humanity and human thinking is really just in its infancy. Isn't it at least possible that some sort of spiritual technology, some sort of spiritual practice, some sort of spiritual breakthrough could happen as big as calculus, antibiotics, democracy, or the pill? Something so big that it would make all the previous attempts at the question seem silly (just as antibiotics made blood-letting seem silly). It seems to violate the very open-minded, evidence-based approach of rationality to claim that atheists (probably) know the answer to the ultimate question when, in many respects, the human race is really just beginning to figure things out.